Angelina Jolie has unseated Oprah Winfrey as the most powerful celebrity of 2009. The Forbes list of most powerful celebrities have five men and women in the top ten but the women take the top four positions. A mix of money and fame have plummeted Mr and Mrs Smith actress to the number one position, according to the Forbes analysis, which finds that last year Jolie raked in the moolah from movies like Kung Fu Panda and Wanted while remaining a media favorite because of her relationship with Pitt and her philanthropic work. 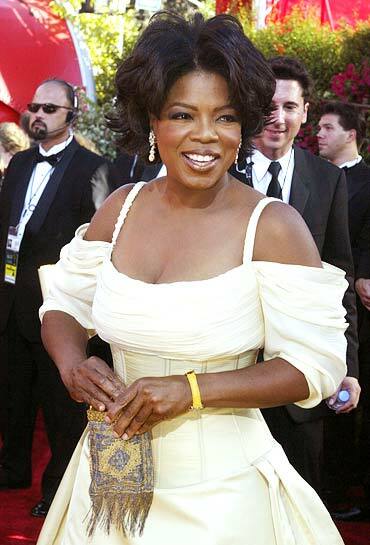 At number two is Oprah Winfrey who is still raking in big money with an earning of USD 275 million dollars a year. The talk show queen has been consistently losing her viewership but this hasn't impacted her earnings and next year the celebrity will roll out the Oprah Winfrey Network in partnership with Discovery Communications. Madonna grabbed the number three spot for pulling off top grossing international tour of 2008 that raked in USD 280 million and grabbing headlines for adopting another Malawian baby as well as for the end of her marriage to British filmmaker Guy Ritchie. Beyonce Knowles grabbed the fourth spot. The singer's last album Single Ladies -- Put a Ring on It earned her six Grammy Awards, breaking the record for most Grammy awards won by a female artist in one night. 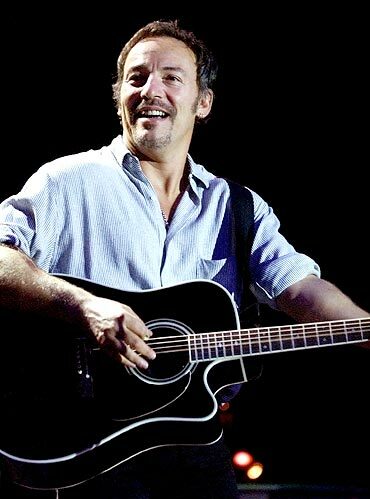 At number five is golf champion Tiger Woods, followed by singer Bruce Springsteen and Hollywood director Steven Spielberg. Jennifer Aniston came in at number eight. Aniston amassed 20 million dollars, with 8 million each for her films The Bounty Hunter and The Baster' reports Us magazine. Also, she got 3 million dollars through her movie Marley and Me worldwide gross and DVD sales, apart from 1 million dollars for He's Just Not That Into You. 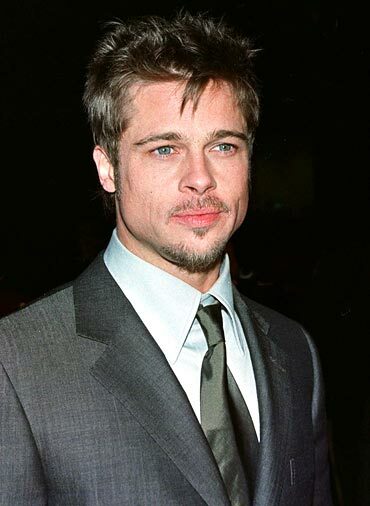 Jolie's partner Brad Pitt came in ninth after his ex-wife Aniston and the tenth spot went to American basketball star Kobe Bryan whose popularity soared after the US victory at the Beijing Olympics. The celebs who fell from the Forbes top 100 list due to a drop in earnings and visibility included singer Justin Timberlake (former number 12), actor Johnny Depp (former number six) supermodel and television personality, Tyra Banks (former number 67) and popstar Jennifer Lopez (former number 54). Pix: Check out these yummiest moms! Pix: Check out these celebrity dropouts! Vote: Johnny Depp's wackiest look!